A diagnosis of stomach cancer can be shocking for elderly patients. The most common stomach cancer treatments are surgery, chemotherapy, radiation, immunotherapy and targeted therapy. These forms of stomach cancer treatments for seniors may be performed separately or together depending on what your physician and oncologist recommend. A physical exam, blood chemistry, and a complete blood count are done first. An upper GI (gastrointestinal) series is an x-ray that looks at the inner lining of the esophagus, stomach and first part of the small intestine. This test is not used as often as an upper endoscopy to look for stomach cancer but it is useful in certain situations. A CT scan of the stomach can often confirm and locate the cancer. An upper endoscopy is a procedure that uses a thin tube inserted into the mouth and down through the esophagus to the stomach. A small camera at the end of the tube allows the physician to look for anything unusual in the upper digestive system. A biopsy may be done during an upper endoscopy. During a biopsy, the doctor removes a sample of abnormal tissue and sends it to pathology to be examined. The only way to truly diagnose cancer is by performing a biopsy. If it is possible, surgery is considered as part of the treatment for the different stages of stomach cancer. Depending on the type and stage of the cancer, surgery will be performed to remove the cancer, remove (possibly) part or all of the stomach, remove nearby lymph nodes and at times other organs may need to be removed as well. Surgery may also be necessary if there's a blockage in the intestines. Each patient's situation is different and there are different types of surgeries depending on where the cancer is located in the stomach and how much it has spread into the surrounding tissue. Often chemotherapy is prescribed as a treatment for stomach cancer. 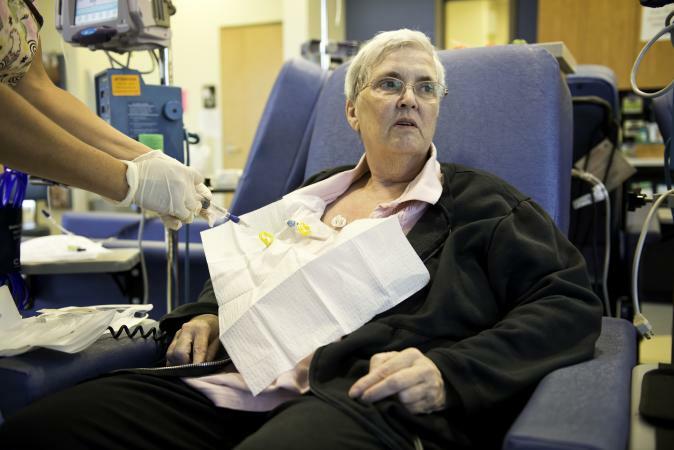 Chemotherapy is typically given in cycles, a few weeks at a time with a rest period in between. It uses anti-cancer drugs that are designed to slow or stop the growth of cancer cells. These drugs are either given in pill form and taken by mouth or they are injected into a vein. Depending on the plan of treatment, chemotherapy may be given before stomach cancer surgery or after the surgery. At times, chemotherapy is used in combination with radiation therapy before or after the surgery. Radiation therapy is often used in conjunction with other forms of cancer therapies for treatment. Radiation therapy is an external procedure in which a beam of radiation that uses high-energy rays or particles is focused directly on a targeted area of the body to shrink tumors and kill cancer cells. This type of treatment allows only minimal damage to normal surrounding tissue. Radiation therapy is usually done five days a week over weeks or months. The procedure itself lasts only a few minutes. Radiation can be used with chemotherapy before surgery to help shrink the tumor or after surgery to kill any cancer that was not removed during surgery. Immunotherapy is a form of therapy that uses a person's immune system to help fight cancer. The therapy either helps to generally strengthen and boost the immune system or uses man-made immune system proteins to help fight specific cancer cells. 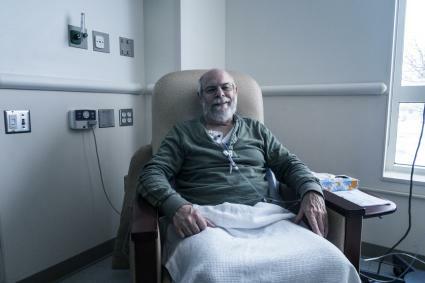 This form of therapy is typically used in combination with other stomach cancer treatments for the elderly. Targeted therapy includes drugs that are designed to destroy cancer cells or prevent them from dividing. This type of therapy may work in some cases where chemotherapy does not. Standard chemotherapy affects all cells in the body where-as targeted therapy drugs attack cancer cells in a different way by interfering with genes or proteins of the cells which will help prevent the spread of cancer. The 5-year survival rate for stomach cancer overall is 31%. The 5-year survival rate for stomach cancer if diagnosed and treated before it has spread beyond the stomach is 67%. The 5-year survival rate for stomach cancer if it has spread to surrounding tissues and/or nearby lymph nodes is 31%. The 5-year survival rate for stomach cancer if the cancer has spread to a distant part of the body is 5%. Most stomach cancers in the U.S. are diagnosed at an advanced stage, making the overall survival rate poor. Over the last 30 years, the survival rate for stomach cancer has gradually improved. The American Cancer Society site lets you find information about cancer by type or search for resources as a patient, family member, or friend trying to understand the disease. For more information on specific treatments, turn to the Cancer Treatment Centers of America. CancerCare is a non-profit organization that helps provide professional support services to cancer patients. Always discuss any digestive or stomach issues you may have with your doctor and pay attention to the possible warning signs. Stomach cancer is survivable if diagnosed and treated early.